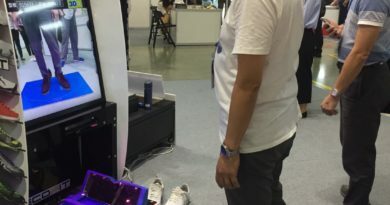 In Touch Taiwan 2017 (the display innovation exhibition), TechDesign found an innovative kiosk that integrates AI, AR, 3D modeling, and big data technologies to help consumers find the suitable shoes without trying them on. ECOFIT is a cloud-based Saas platform that not only assists consumers find the proper shoes and also enables shoe suppliers to manage their new business in a novel and cost-effective way. 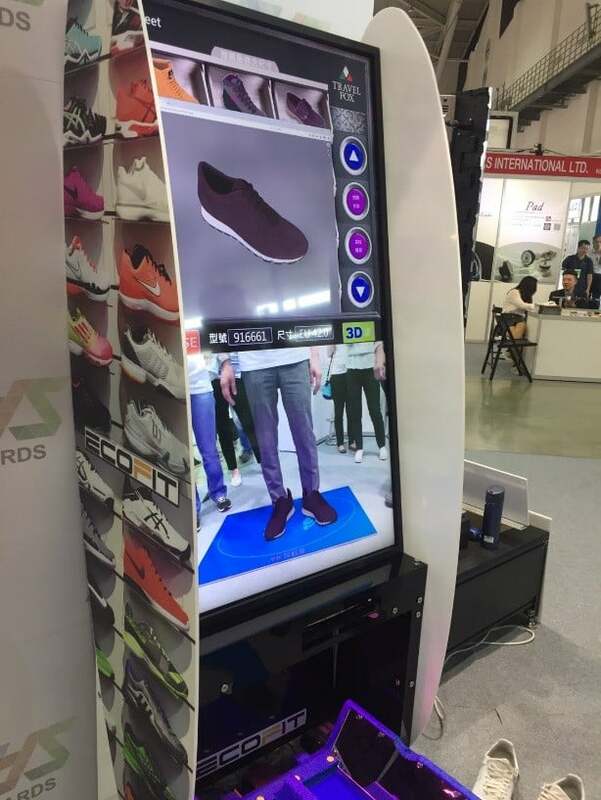 ECOFIT, the AI shoe fitting kiosk, helps consumers to select shoes in a brand new way and allows shoe suppliers to deeply understand their customers. 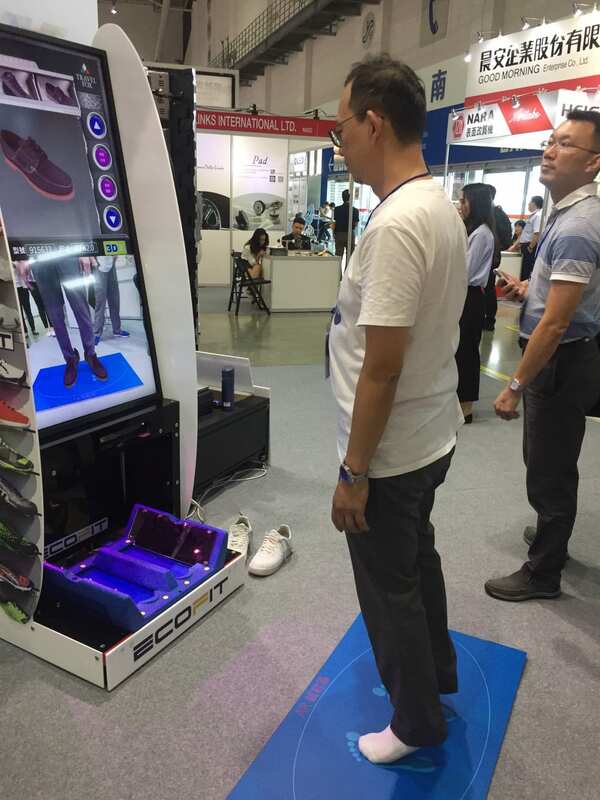 As a customer steps onto the “kiosk scale”, the system accurately measures the foot size and shape, and then AI technologies could recommend the suitable shoes for the customer. 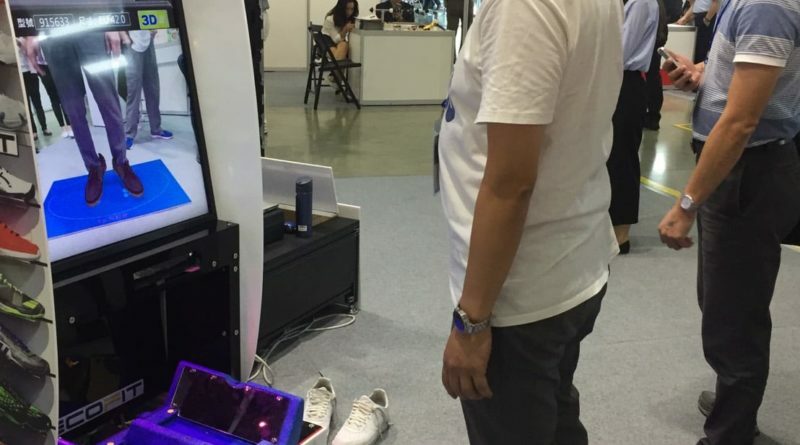 Also, customers are able to browse the shoes with 3D images and trying on the shoes with AR without touching the real shoes. Meanwhile, for shoe suppliers, the customer’s foot size and preference collected by the Saas platform are the important data and clues to understand their customers and market. The supplier can systematically get to know the customer insight in each market. For e-commerce suppliers, the kiosk is the place where customers can “try on” the shoes and make sure the correct size before placing an order online. 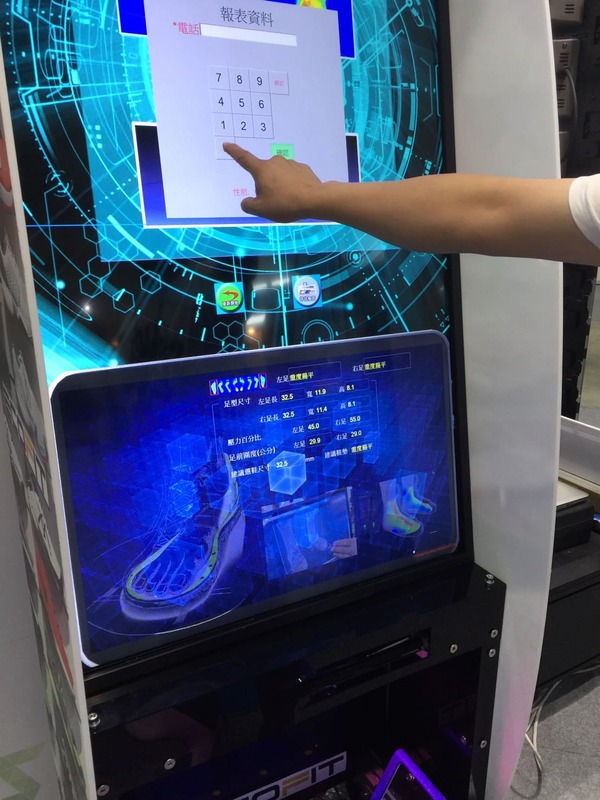 The kiosk can be seen as the realization of O2O business that allows customers choosing shoes offline and buying the shoes online. Compared with the traditional shoe fitting, the AI cloud-based shoe fitting platform is the solution that saves time for shoe store staff to go back and forth between store and stockroom and provides the e-commerce consumers to select suitable shoes before placing an order online. To synchronize the new products, the suppliers used to spend tons of time and money building the 3D modeling. The difficulty could be an obstacle for suppliers to ponder if they should apply the techniques for their business. 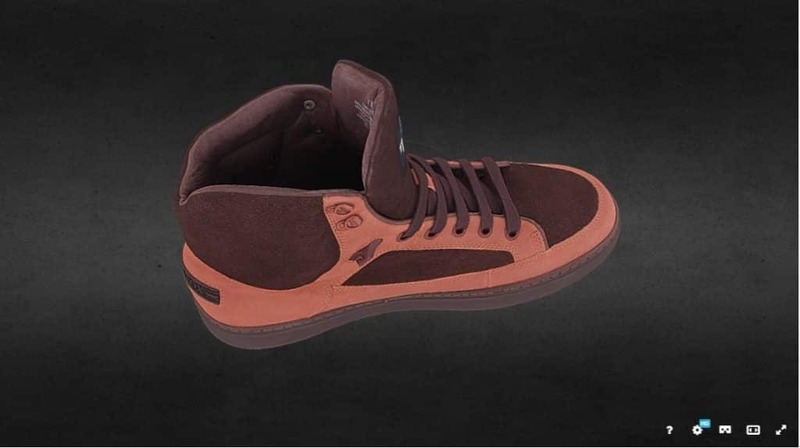 However, ECOFIT’s unique technologies allows the shoe stores to build and update the shoe 3D modeling in a cost-effective way. That is the reason why some shoe suppliers in Asia has cooperated with ECOFIT to provide new customer experience for their business. With the core techniques, ECOFIT is planning to apply the technology to conference call and antique display. 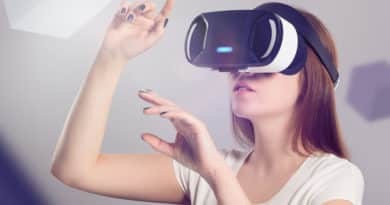 For online conferences, the AR technologies could help the enterprises to meet the people in persons and have more interactions instead of hearing the voice or watching the video only. Additionally, for the antiques in museums people hardly look closely and rarely touch, the effective 3D modeling and AR technologies allows people to check the antique closely and even from top to the bottom in the 3D view. Next time when you walk into a shoe store and find only one kiosk and no staff, don’t feel surprised. That could be the latest fitting system with the most innovative AR and AI technologies! If you are working on an AR and AI project, TechDesign would love to hear your innovative ideas. We would love to help you realize your ideas into realities and match you with the right manufacturers for your project. TechDesign offers NDA and Escrow payment protection, meaning you don’t have to worry about having your money or ideas stolen.